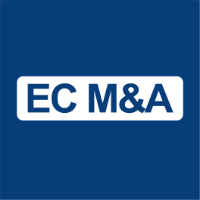 Ewoma joined EC M&A in 2010 and focuses on M&A transaction origination and execution, project management, and client relationship management. He assists and advises clients within the industrial sector on mergers, acquisitions, company sales and corporate divestitures, and is involved in every stage of the deal process from sourcing through to transaction evaluation/analysis and execution. Prior to EC M&A, Ewoma worked as a management consultant for Accenture’s London office, where he focused on the Oil & Gas sector. He worked as a process engineer for Nalco Energy Services prior to that. Ewoma graduated from Heriot-Watt University, Edinburgh with a BEng in Chemical Engineering, and received his MBA from the Kellogg School of Management. He is a Registered Representative and holds Series 63 and 79 FINRA licenses.